Join us in San Antonio, Texas at the 2019 International Conference! 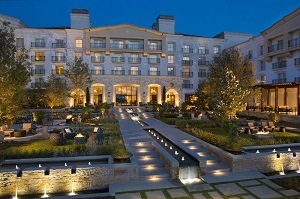 This year's International Conference will be held at the stunning La Cantera Resort & Spa. La Cantera Resort & Spa is a 550 acre hill country oasis atop one of the highest points in San Antonio and is centrally located to the finest attractions the city has to offer. Luxurious accommodations offer every amenity in addition to separate adult and family friendly pools, Loma de Vida Spa & Wellness and 36 holes of on-site championship golf. Less than a mile away with complimentary transportation are the Shops at La Cantera with a variety of luxury shopping and dining options, The Rim shopping center, and Six Flags Fiesta Texas. Additionally, SeaWorld, downtown San Antonio, the airport and hill country adventures like antiquing, and wine tours are 20 minutes away. Tim Herbert serves as senior vice president of research and market intelligence for The Computing Technology Industry Association (CompTIA). Under his leadership, CompTIA publishes a wide range of reports, briefs, and data analysis to make sense of the ever-changing tech landscape. CompTIA’s Cyberstates report is recognized as the definitive guide to tech workforce trends, economic impact, innovation, and more. 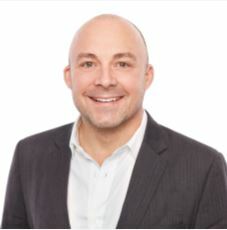 Herbert regularly pens articles for industry publications, presents at industry conferences, and in his 20+ years as a technology analyst, has been cited in numerous media outlets, including the Wall Street Journal, USA Today, Wired Magazine and many others. 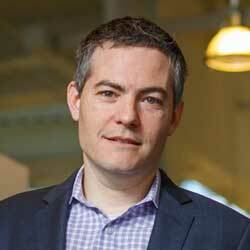 Jayson Krause is an international speaker and leadership strategist. He is a former national champion in bobsled and author of the book “52 People”. Jayson has been an executive and has worked with business leaders and teams across Asia, Europe and North America to redefine and accelerate effective leadership using the Science Behind Success™. Some of the organizations Jayson has presented to include; Baker Hughes, IBM, IKEA International, Jabil Circuits, Nova Chemicals, Ripple and the Singapore Training & Development Association. Download the new IC2019 mobile event app to create your conference schedule, receive detailed information on sessions, breakouts, expo, and everything IC! Get the IC2019 App by searching IC 2019 in your app store. Book your hotel stay and the beautiful La Cantera resort & Spa. Book your rooms no later than March 15, 2019 to take advantage of our discount group rate of $219 per night inclusive of $34/nt resort fee.